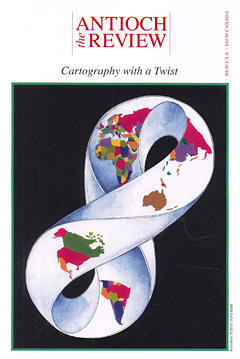 This essay appears in The Antioch Review's Fall 2013 edition Cartography 101 with a Twist. and ends. As you will see, everything that might be known of those eighteen days still is not recorded in any of the vast literature, including things that didn’t happen but might have if the Russians had not sent their troublesome missiles to Cuba." "On a balmy afternoon in mid-October, 1962, a young woman sat in the visitors’ lobby of the White House West Wing. From her seat, she could see down the first floor hallway past offices where official business was conducted. She wore a conservative, gray business suit. Her credentials identified her as a magazine feature writer, and, as she put it, “I had my official looking little leather briefcase.” She wore minimal make-up and large plastic eyeglasses. The glasses were cosmetic, part of a disguise." Ken Bode has had a long and distinguished career as a journalist. In this conversation Ken talks about the corruption in politics, the Cuban Missile Crisis, and some of the outstanding interviews that he has conducted over the years.